Straight, hard, white hair for outer coat. Double coated. 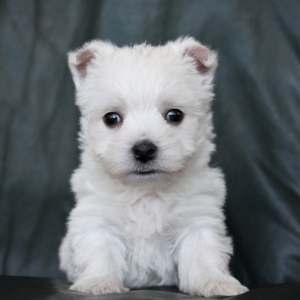 Although these little white dogs were originally meant to be rodent-hunting dogs, or “ratters”, today’s Westies are primarily bred as companion dogs. 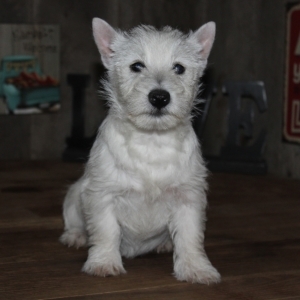 With a feisty, spunky personality, a Westie is not your typical lap dog; they are happy, active dogs and love to be running and exploring outdoors. 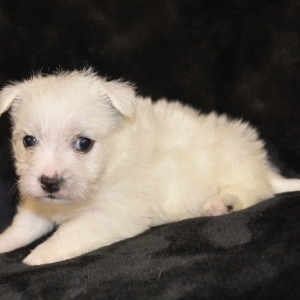 They are a hardy, independent breed that are loyal, entertaining and love to be with people. 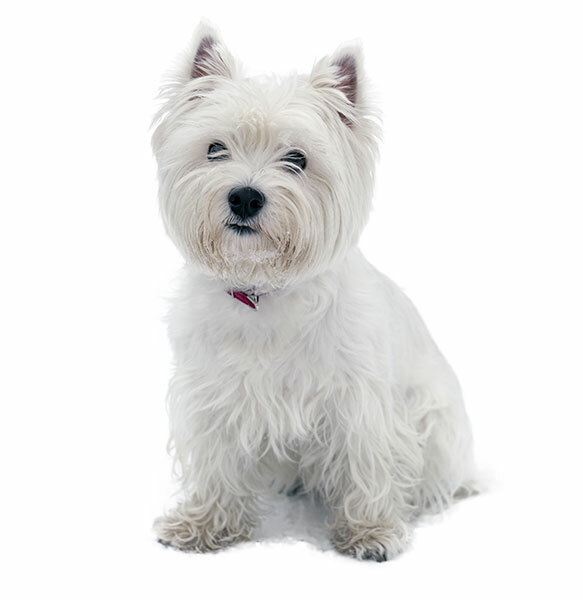 These extremely friendly and well-liked dogs make great companions for adults and children over the age of 8. 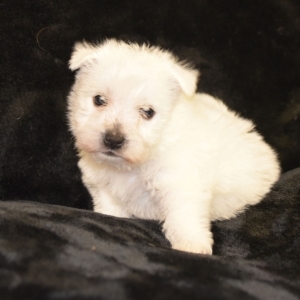 The West Highland White Terrier originated in Scotland, likely in the 1800s.